Someone Got A New Eye Patch! 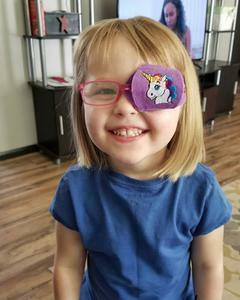 We love seeing our little Patch Pals excited about receiving their new eye patch. This one is adorable!! We work really hard at trying to make eye patching fun for little kids. Eye patching is hard and needs to be presented as something positive and good. Watching this video of a precious little girl opening her package is priceless.